Honest and vulnerable explorations of what it means to be human with Nate Maingard: bard, wounded healer, poet, digital nomad and unintentional philosopher. 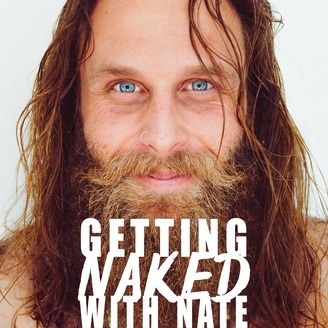 Through conversation, journal entries and lyrical adventures, the Getting Naked With Nate podcast explores topics which include: - vulnerability as a strength - spirituality as integral to the human experience - truth as a form of revolution - living with depression - finding happiness - talking about mental health - normalising sexuality - how being weird is normal - embracing sadness - finding success in the little things ...and, ultimately, bringing hope into this world! 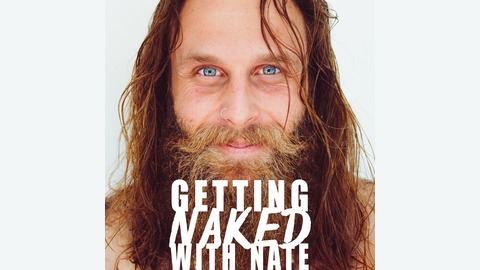 Visit the show-notes at http://nakedwithnate.com to connect, share your thoughts, sign up for emails and enjoy recommended readings, music, links, lyrics, videos and bonus content. Layla El Khadri is a multi-talented powerhouse who, at 21, left her career as a rising actress, model and filmmaker in Spain when anxiety, depression, burnout and a terrifying desire to 'check out' helped her to realise that she needed to focus on her own healing before anything else. Fast forward to today and she is putting the many years of her 'pilgrimage into Self' to good use by supporting people around the world in finding their own strength and truth. Her most recent offering is a powerful video called The Feminine Rise, which has already garnered 500k+ views on facebook and youtube.